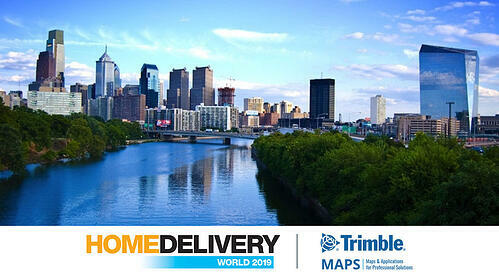 Touted as one of North America’s most important retail logistics conferences and exhibitions, we are thrilled to join other industry experts for Home Delivery World on April 3-5, at the Pennsylvania Convention Center in Philadelphia. Not only is this the first time Trimble MAPS will be attending the exhibition, but we will also be showcasing our commercial routing, scheduling, visualization and navigation solutions. 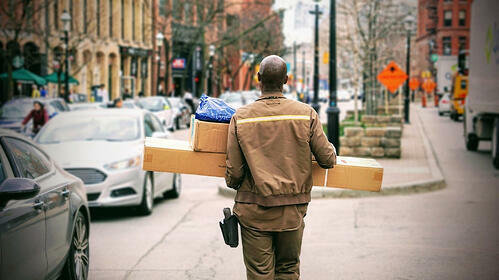 Whether you're a specialist retailer or manufacturer with a private fleet striving to provide a superior delivery experience, a carrier focused on last mile efficiency or a software company building the next delivery management or logistics solution - commercial map intelligence is critical for your business. Want to learn more? Don’t miss out on our featured presentation, “Maps for Work: Commercial Routing, Scheduling, Visualization and Navigation for Delivery Operations,” taking place Friday, April 5 at 12:40pm. We provide the tools to maintain competitive customer service levels with real-time visibility. Our solutions allow fleet managers to monitor routes, retrieve dynamic ETAs, and track live weather and traffic conditions to stay ahead of any service failures. This enables the ability to quickly adjust routes and gain insights to proactively reach out to your customers and alert them of a service impact. By addressing the entire delivery operational workflow, we provide an end-to-end solution for route optimization, dispatch, mobile, visibility and reporting. With the Trimble MAPS development platform, you can build commercial routing and scheduling, visualization and navigation applications and solutions. Mapping - Embed high quality maps, including satellite maps, and customize them with styles, controls, markers, and any custom content for any application. Routing - Get vehicles from point A to Z (and every stop in between) with trusted PC*MILER data and routing—specifically designed for commercial vehicles. Navigation - Add voice guided, turn-by-turn navigation to mobile applications with stand-alone or embedded integration options available. Location - Add forward, reverse, and batch geocoding capabilities to find places and locations, and plot them on a map. There are endless ways to route, schedule, and navigate fleets of all sizes. Come to booth #520 to learn about our portfolio of solutions that help you achieve exceptional customer service.